Pork, stir-fried with bamboo shoots and preserved vegetables. Perfect by itself or in a noodle soup! Reading the title, you might wonder, "What kind of preserved vegetable?" Preserved vegetables, or zha cai, originates from Sichuan. It's made from the knobby stem of Chinese mustard greens. You can make it by salting, pressing, and partially drying the Chinese mustard greens and then allowing it to ferment in a process similar to Korean kim chi. (I recommend buying it - it's a lot faster and easier. :P You should be able to find it in most Asian groceries.) In fact, some types even have a spicy red chili paste rubbed on first. This process results in something like sauerkraut with chili sauce. A crunchy, yet tender, sour, salty, and spicy preserved vegetable. 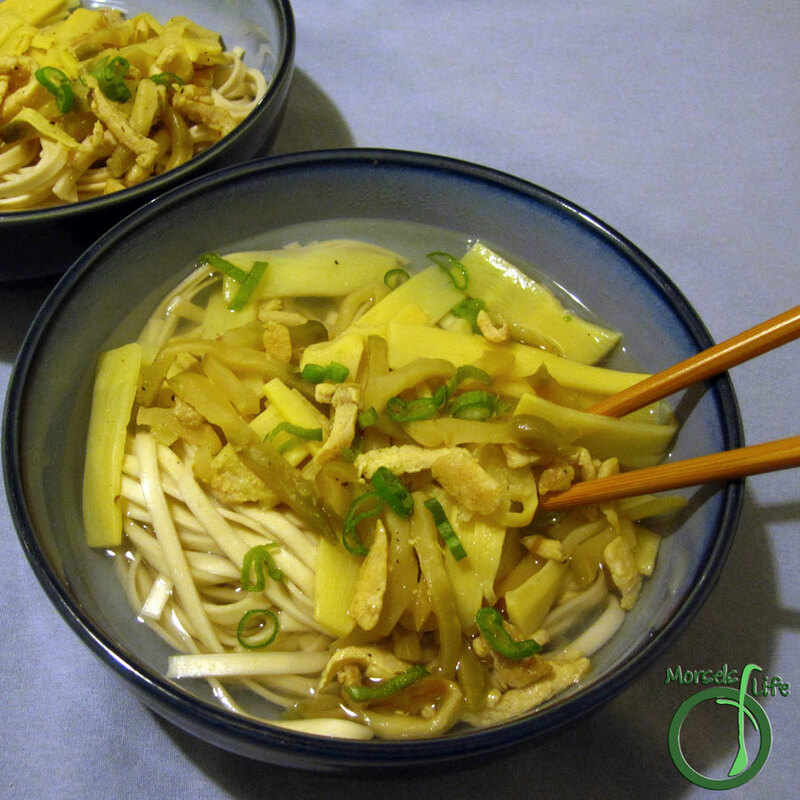 The other component of this dish is bamboo shoots, popular in many Asian cuisines. These bamboo shoots are the extremely young, new growths of bamboo, typically less than 2 weeks old. Bamboo shoots contain little fat or calories (only 14 calories and a 1/2 gram of fat per cup!!) Meanwhile, it's got 2.5 grams of fiber - great for cholesterol and colon health. In addition, it's got heart healthy potassium and lots of healthy phytochemicals. What's your favorite stir fry? Stir fry pork until mostly done. Add in remaining materials, and stir fry until pork done. Mix in with soup noodles or serve on top of rice.